So you’ve met the troublesome duo now its time to meet us. 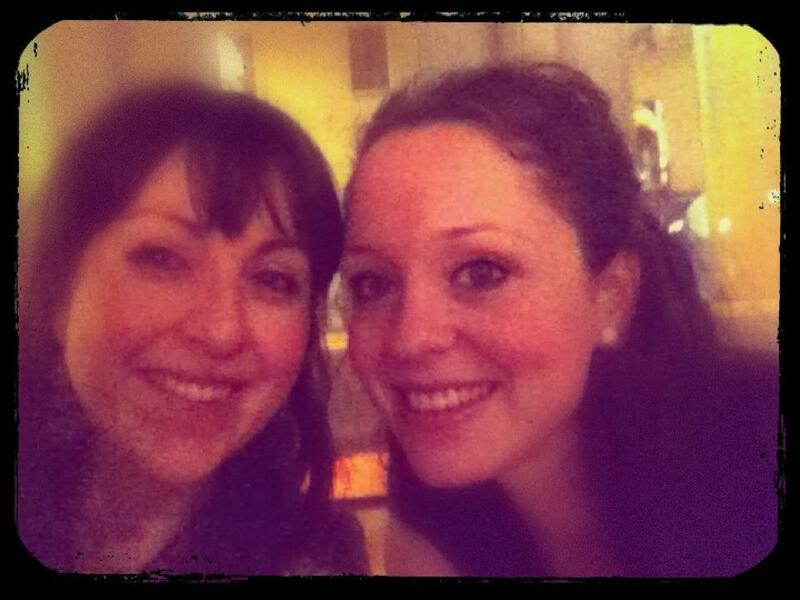 Myself (Amy) and Helen have been friends for years. 14 years to be exact. We met whilst studying Art Foundation at Newcastle College back in 1999. My first memory of Helen was watching her draw a Raymond Briggs inspired drawing for one of our projects and thinking how talented she was … it was AMAZING. I dread to think what her first memory of me was. It is probably a story involving a few too many Smirnoff Ice, Baja Beach club or my 90’s bleached hair do. I’ll leave that blog post up to her! After Art Foundation we both found ourselves in the East Midlands studying Graphic Design at The Nottingham Trent University. This was where the fun and friendship really began. 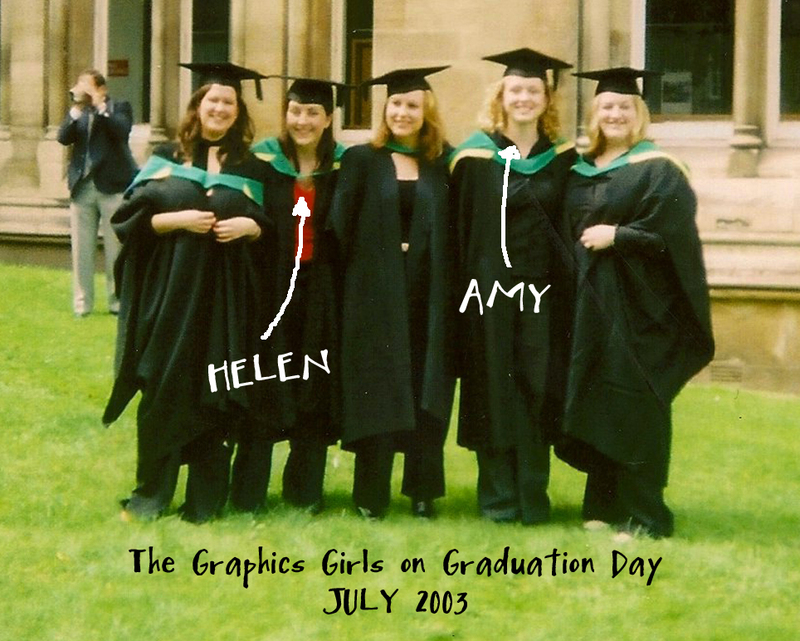 We were two of the founding members of the infamous Graphics Girls … A collective group of girls who bonded over their love of tea, chocolate, wine and cheesy chips. Oh, and graphic design of course. 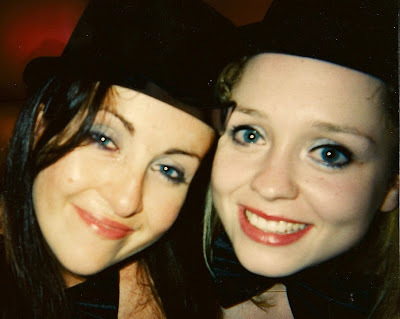 We spent our three years together wisely and both graduated in 2003 with a 2:1 in Graphic Design and an impressive repertoire of Nottingham’s finest cheesy chip outlets. After uni we both headed back up to Newcastle but my itchy feet didn’t keep me there long. I soon found myself down in London working as a designer for a publishing house. Helen stayed up in the North East and found her fame illustrating a number of books for Bloomsbury, Scholastic and Egmont. And that was us. Both ticking along nicely and meeting up several times a year to embark on various Graphics Girls jollies around the UK. Then at the end of last year I decided I’d had enough of the big smoke and I came home. I’d meet up with Helen and we would sit and drink hot chocolate, eat scones and ponder about life. What was it all about? Why does work not excite us anymore? How can we do a job that we truly love? Should we get cream on our hot chocolate? And then it hit us. Like an epiphany. And Rosie & Radish was born.